CLICK HERE FOR A SPECIAL BONUS CONCERT WITH AMERICAN ENGLISH!!! 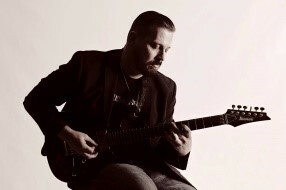 Aaron Harris is a classically taught master guitarist who brings his influences to the world of jazz and currently serves as adjunct music professor for Ivy Tech and Visible Music College and teaches privately. The Fuze is Aaron’s backing band that is made up of some of the top performers and teachers in the Chicagoland area. Aaron Harris and The Fuze will take you on a journey from the classic Jazz standards to the current world of Jazz Fusion and everything in between. Come enjoy the amazing Jazz experience. The Whiskey Brothers is Chicagoland's premier Irish band, playing traditional jigs and reels, fun sing-along songs, beautiful Irish ballads, American music with an Irish flair, and much more! The Whiskey Brothers aim to add joy, laughter, and excellent music to your evening of enjoyment with friends, and even foes. 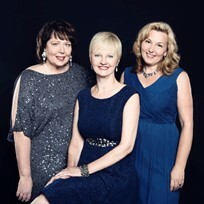 Beckie Menzie, Marianne Murphy & Orland Laura Freeman combine to celebrate the ground breaking music of Carole King, Carly Simon and Joni Mitchell. Inspired by the book, Girls Like Us by Sheila Weller, these cabaret favorites blend their unique performing styles into a delightful evening dedicated to showcasing the music and stories of three singers who dared to break tradition and become what none had been before them – female confessors in song, rock superstars, and adventurers of heart and soul. Mehran is the premier Flamenco guitarist with the soothing sound of solo Flamenco and classical with the fiery and intense collaboration between Flamenco dancers, singer and guitarist. As Flamenco guitar instructor at the Old Town School of Folk Music for the past 12 years he has taught more than 400 students, passing on the Flamenco Guitar to many generations to come. 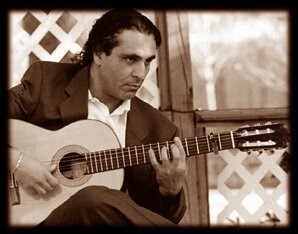 Mehran has published 2 original Cds which have been featured on several international guitar and music magazines. Mehran’s show is enhanced by Flamenco Dancers. Your season ticket to the Portage Concerts allows you to attend ALL Reciprocity Concerts at no additional charge. Click HERE for the Reciprocity schedule.